The brief tenure and departure of JACCC CEO Greg Willis has raised many questions within the community on how this happened and the role of the Board of Directors as the overseers of the nonprofit institution. First and foremost, the JACCC Board takes responsibility for the situation that the JACCC finds itself as a result of the resignation of CEO Greg Willis last month. Mr. Willis was hired with the best of intentions by the JACCC Board based on a strong record of business turn-around experience and a vision for the future; both qualities deemed necessary at a critical time in the operations of the JACCC. As was stated in the open letter and to which we concur, the JACCC is a valued and premier institution in the Nikkei community and the board was working with Mr. Willis to produce new seasonal programs such as “LA Bloom,” expand revenues and implement its new vision for the future. The board and staff of the JACCC remain even more committed to strengthening the organization, and continue its pursuit of its vision for the future. We understand, however, success will depend on how we re-engage our community and bring together our collective strength, which is the historic foundation our organization was built upon over 32 years ago. We regret the disruption caused by events of the past few weeks and deeply appreciate the concerns from the community and support for the staff during a very difficult period. We have brought on Bill Watanabe, Deborah Ching and Keith Shiozaki, experienced and respected community leaders, to assist in the rebuilding process that must take place as we transition and move forward to implement this vision. We hope the community will continue its support for and trust in the JACCC as we, the board, work together to strengthen and restore that trust. You should “regret” and APOLOGIZE! You messed up and the board should issue a public apology to the community as well as submit their resignations. The boards decisions have been an embarrassment to our community. Even if Willis was not found with any criminal background, the disruption he caused was evident. Great people with years of experience in serving the community working for the JACCC left because of this man and the environment he created. What happens to the displaced employees? What is the board going to do about that? So it blew up in our(community) face…Weren’t there any warning signs? and what happens to those who gave years of their life,love to JACCC. They were thrown away like used tissue paper. Ok so what do you plan on doing? Are you going to get your money back from the “headhunters Agency” and what? You’re going to use them again? I work in the Nisei Week Office with Jooyce and Greg..We hear and see whats going on daily. Does the board know, the personal side of the workings. Sandy I’ve known you a long time, I’m not throwing mud in anyones face. But questions have to be answered. We love JACCC but we love our fellow workers here and gone more. Now is not the time to be shy and Japanese. Hopefully there will be a resoluion. And Robt. Hori is leaving after all these years? whats with that……I think a large meeting with the board and community is needed. Apologys now aren’t enough. People are totally pissed off…Answers have to be addressed NOW. or the ship sinks. I find your response embarrassing, insincere, and disturbingly indifferent. A part of me believes that ulterior motives were involved, as the word around the community is you and your cohorts defended Mr. Willis amidst the chaos that ensued during his investigation. What other criminals and unsavory individuals are you harboring at the JACCC? I wonder. Logic points to a cover-up for possible clandestine activity, which I believe will only begin to surface the longer this embarrassing “charade” of finger pointing continues. The very fact that Mr. Willis managed to fall through the cracks and end up as CEO of the JACCC illustrates the board’s gross negligence and apathy for the community. It seems that the board, in its infinite power and wisdom, has lost sight of what it means to serve the community. Its preoccupation with hierarchical titles, photo opportunities, and monetary gain at the expense of the community have alienated not only those who have sought support from this institution, but also those who have helped build and keep it afloat during these dire times. Your “regrets” have fallen on deaf ears. For years I have watched the sad, progressive decay of our beloved JACCC. A true and steady succession of one charlatan/crook after another has seemed to be the only constant in the past few years. What once stood as the beacon for the JA and Asian American community is no longer. All of which trails back to the board’s apathetic approaches and archaic modes of thinking. You’ve tried your way for years. Has it worked? No. Perhaps the responsible thing to do now is to RESPECTFULLY resign. Let someone who cares take the reigns. Obviously, the board doesn’t. If not, a mission statement of what the JACCC plans to do to rectify this embarrassing blemish upon the community is in order. Maybe this time around, we’ll read some conviction behind your words. Not to be trite or anything, but talk really is cheap. And lately, the JACCC has been all talk. MAKE THIS RIGHT. As a Japanese American and member of the community, I am ashamed, angered, and disappointed by the actions of the JACCC board, management, and leadership. Not only with regard to Greg Willis, but in general over the past 10 years. Although I hope that the JACCC can rebound and remain a pillar of our community, at this point, I feel that JACCC may be doing more harm than good. It would be of no use to reiterate what has been expressed here in the comments. For I feel that all of them have made very valid points in their statements which I agree with. However, I do strongly feel that two more events should inevitably take place as a result of this fiasco: Firstly, a public meeting with the JA community who have given so much of their time and money to your organization; and secondly, resignations from the current board members so that the interim team can select a board that will reflect the “vision” that you so stated in your response this this community’s open letter. Cool and calculated words of a Philistine… All that remains now is the detritus left in the wake of your destruction. Willis steals $24 million in France and is hiding out in Los Angeles and then secretly gets a CEO job at the JACCC to exploit more workers. Trust me Jim Kawata, if a person had $24M he would not be working at our JACCC. The NCRR and the community at large are acting as if they are making an episode of the Bounty Hunter! As a Japanese American I am very disappointed in the continued violation of civil rights of the former CEO of the JACCC by the Little Tokyo community. The NCRR represents themselves as a civil rights organization. The NCRR should have been horrified that someone could be tried in absentia. I think that absentia means a person was denied due process and was not at the trial. Which is illegal in the United States? But instead you accept what was written by a communist labor union in France as true. Convicted by the NCRR without a trial. Wow! 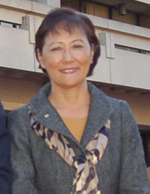 From reading the internet our very own Kathy Masaoka was at the heart of this NCRR conviction. Great irony!!! In reading between the lines in the NCRR Open Letter, the NCRR was going to give the (white guy) a chance. What a raciest statement. Are you trying to segregate Little Tokyo? Change is very difficult for people. And as indicated in the article these were long standing employees who probably resented change. From all of the articles there is only speculation as to why employees resigned. Just maybe the people did not like change. Change is what has saved many organizations in these tough economic times. Maybe there was something going on at the JACCC that needed to be cleaned up. But the white guy is the bad guy. I believe that the JACCC had a large layoff last November and JNMA has also laid off employees as a result of the difficult economic times. Where was the community outrage at that time? Where was the NCRR and Rafu Shimpo on this reporting? Japanese Americans are being portrayed as racists by all of these articles which does not represent the views of the majority of Japanese Americans. You are violating another person’s civil rights by continuing to comment on something you know nothing about. Wow, I couldn’t agree more to the comments of M.Sato. Except, the multiple reference to NCRR. My guess is that the views expressed by the letter writers is not the overall shared view of NCRR; such a reputable civil rights organization. But great points of irony. Thank you for stating what I believe many casual observers and supporters of the JA community feel. I too have been an observer of the decline of many JA non-profit in Southern CA. I belong to a chapter of a national org who’s membership is dwindling. I support a community center outside of LA, that cant find enough funding to continue programs. I belong to a church who is having a tough capital campaign effort. We stand on the shoulders of JA leaders who have come before us who, in the face of adversity supported and helped each other. What have we learned from them? Instead the anonymous few who are so negative and so angry and disappointed by the JACCC are probably the same people who may not regularly fund the center, serve on their board, or volunteer or even attend their events (except Rodney K, who is so very supportive). Maybe they did long ago, but times have changed and non-profits need your support more than ever now. Everyone likes the idea of a JACCC, our community center, but no one really does anything about it. Their programs have been dwindling with fewer supporters for some time now. But let’s keep kicking them while they’re down. I commend anyone who volunteers to genuinely help a non-profit to try to thrive. But shame on the casual critics who hide behind their anonymous posts and keep bashing these groups. This does nothing but harm our future. Do they really think other casual observers would really consider supporting a non-profit that they are trying so hard to demonize. I mean, calling for the entire board and chiefs to resign? Do they realize volunteers dont grow on trees? Will the critics be stepping up to run the organization? Will they be their future donor? To me, asking for apologies and blood will do nothing to revive a down trodden non-profit. It probably will go a long way towards scaring away good people, who really would like to contribute and make a difference in our community from ever getting involved with the JACCC. I really hope our community can put their anger behind us and move on. No. Shame on you, “Another Anonymous Casual JA Observer.” Don’t presume to know what others have and haven’t done for this organization in past, present, or possibly will do in the future. Step into the light, and let us know who you are, since you’re so quick to cast stones at those who are merely expressing their opinions in anonymity. Will the revelation of the opinionated or your very own identity be of any help to the community? Does it matter who they are or who you are? Maybe, maybe not. Perhaps their observations and critiques are not as “casual” as yours. Perhaps, the events that have transpired have had a more profound impact on them than they have for you or me. Let us not blame the critics or each other. Remember, there is a reason why we’re having this “civil” discourse in the Rafu Shimpo. AND, it’s not because of the critics. AND, it didn’t happen over night. Don’t be fooled. The damage to the future has already been done. The sentiments of the villified observers merely echo and reverberate the other side of the divide between the community. Cast your mind and ask yourself, “Why are these critics so angry? Are there still remnants of corrupt entities that have yet to be discovered? Do they know something that we don’t? Has the board really implemented legitimate change?” We don’t know. And, until we do, let us not attack each other. Our focus should be on CHANGE, not what one another says, knows, or believes. WE ALL WANT CHANGE, not the same perpetuating circuitous obtuseness which lead us here in the first place. Sandy’s response just leaves us in an oblivion; subject to our own imaginations and wishful thinking… We can’t fault those who want more. You are right. Let us not blame the critics or each other. I apologize for my tone and some of my comments. What we all have in common are our concern for the JACCC and how we will be able to stay relevant for our children, grandchildren, and beyond. I am hopeful the community can come together and get through this, in anonymity or not. Board of directors owe fiduciary duty. When they fall below the duty by action / inaction, they are liable for their misconduct. Here, pending fact findings, the question is not whether the board was “committed” or “cared” for the community, but rather it is whether the board of directors breached fiduciary duty it owes. Being a board of director is not a badge they show off to others, but indeed their personal commitment to the community. When it is breached, the issue should not be dealt with behind a closed door of people who have been around long time. Rather, it calls for a third party independent audit. Board members should know 1) they are personally liable for their misconduct in some cases and 2) such misconduct seriously destroy our community internally. I strongly demand the board to set up an independent audit committee for an investigation.